Sparkle! | S J M W E L L - Fashion, Beauty & Lifestyle blog. 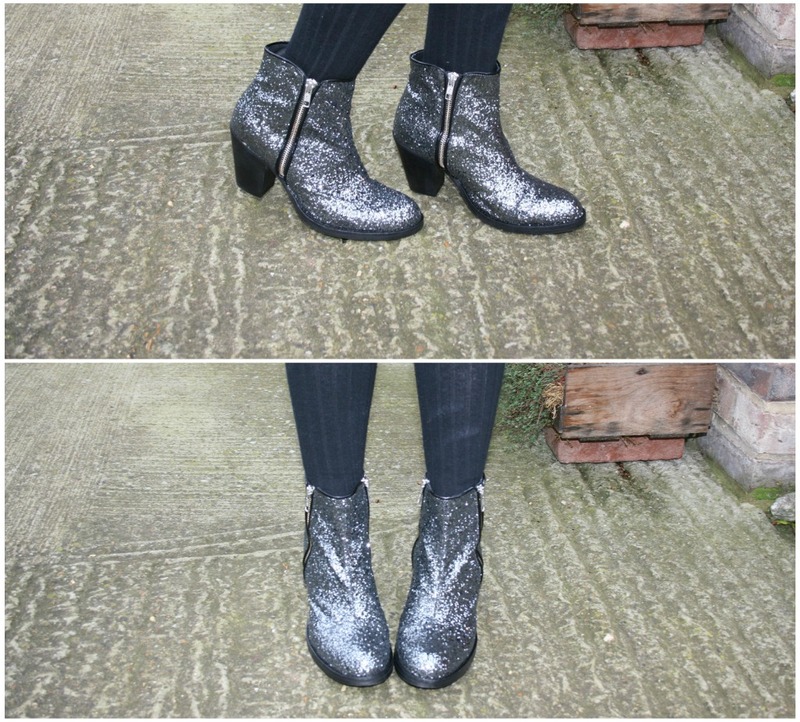 I fell in love with the Miu Miu glitter boot's when they come out but they were way out of budget so I waited for the high street to bring out their own, of course they did. But as if it was fate I won these Zign glitter boot's from Zalando's twitter competition and they are looovely! I wore them over christmas to bring a little sparkle, and received many compliment's on them. They are higher then they look which i'm not used to yet but they're really nice, and very handily have zip's on either side's of the boot. Also I changed the blog very slightly, just wanted a tiny change for the start of 2012. As It is now 2012, I hope you all have a lovely and healthy year. I can't believe i've been blogging for a year, or the fact 2011 has gone super fast. Ooh I wouldn't mind a pair of them! My Resolutions are a never ending list as usual! Just found your blog through the Monday Beauties Blog Hop & we're now following. We'd absolutely love for you to visit our blog sometime! Drop us a comment if you do. Manicure Monday; U S of A! What I wore #007 // Faux.